Established over thirty years in the historic market town of Southam. We have a high reputation for quality and excellence. With our direct links to the Dutch auctions we can offer the unusual and exotic as well as our regular top quality flowers. 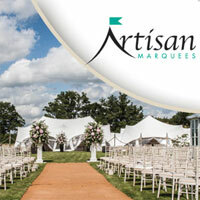 Giving a Little Sparkle to Your Event… Artisan Mobile Bars believe in providing a dedicated, friendly and professional service to ensure that your event is a great success. We are a Warwickshire based business providing beautiful cakes for special occasions at affordable prices. For unique, bespoke and innovative balloon decorations and party supplies, get in touch with us at One Stop Party Shop today.